That quest began in 1907, when Frieda persuaded her father to send her, and later Belle, to college rather than finishing school. Articulate, bright, and principled, both sisters excelled at the University of Wisconsin, coming of age during the Progressive Era’s struggles for political, economic, and social equality. 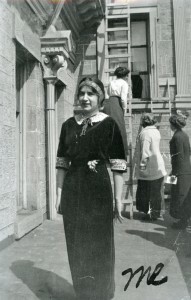 After graduating in 1910, Frieda joined the activists marching for women’s suffrage in New York. 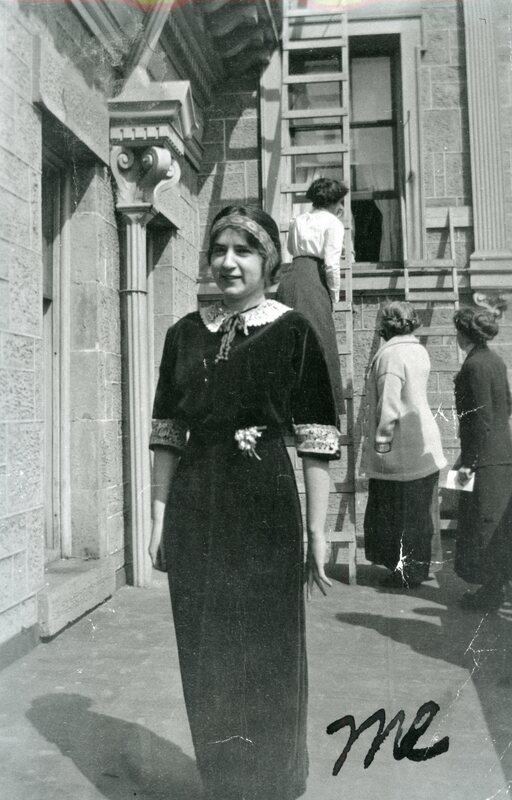 Back on campus, Belle was elected president of the Women’s Student Government Association and, as an editor for the student newspaper, championed progressive causes. During her senior year, she lobbied the Wisconsin legislature in favor of granting women the vote. In 1914, Belle returned to Helena to write for the Independent and to promote women’s suffrage. Stumping on street corners and traveling unchaperoned across Montana, Belle startled her audience—and her parents—with her bold, “unladylike” determination to fight for her ideals. After covering Jeannette Rankin’s political campaign for the newspaper, Belle helped elect Rankin to Congress in 1916, and then went to Washington, D.C., as the congresswoman’s secretary. Over the next two years, Belle observed that male leaders seldom addressed the needs of women and children. These needs—such as equal rights, equal pay, and peace—became her lifelong cause. Meanwhile, Frieda enrolled in graduate school at Columbia University, where she studied under pioneering anthropologist Franz Boas. She earned a fellowship to study abroad for several years and focused her research on disproving the theories of racial hierarchies posited by Boas’s rival, Lévy-Bruhl. 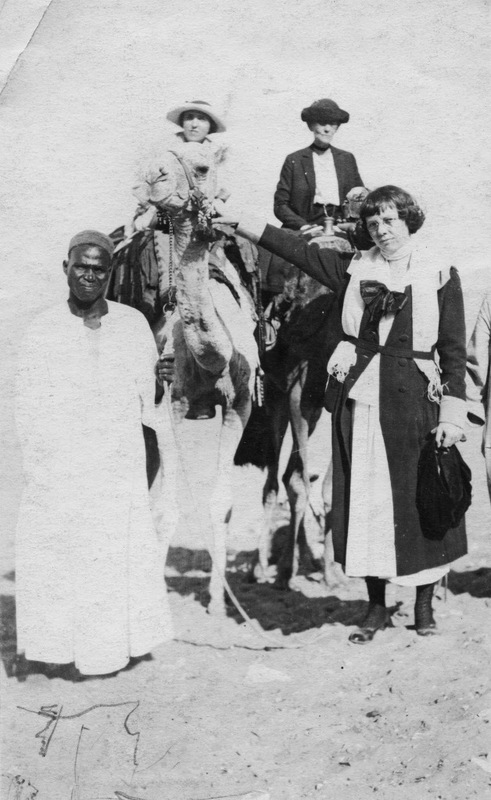 Frieda, who was fluent in several languages, conducted a comprehensive study of the West African language Fulani, organizing it into categories of social significance in order to demonstrate that Fulani society, as exhibited in language, was as complex and sophisticated as any European society. When Frieda presented her research to the new chair of sociology at Columbia, he refused to acknowledge her work as legitimate sociology and denied Frieda her doctoral degree. The dismissal of her research (arguably because she was a woman charting new academic territory) deprived Frieda of the opportunity to teach and to conduct research at the university level. 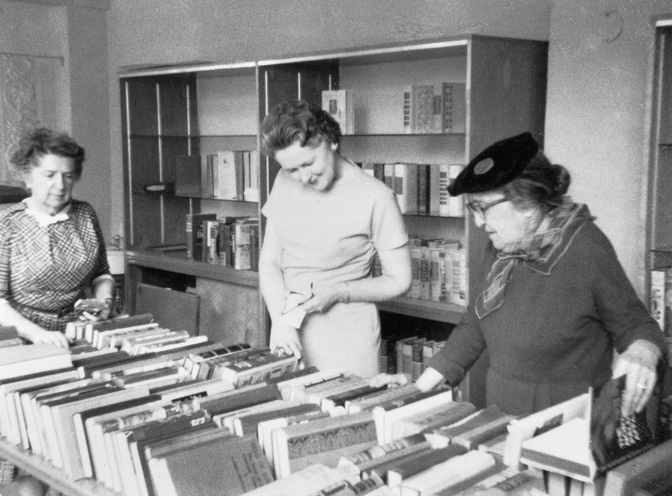 Although European institutions published several of Frieda’s scholarly works, she was unable to achieve her dream of working among her intellectual peers to advance innovative investigations into the sociological problems of her era. And she was lost in wonder. . . Eventually, Frieda’s genius was acknowledged. In 1967, the American Association for the Advancement of Science named her a fellow, and the World Congress of Sociology dedicated a collection of academic essays, Language of Sociology, to Frieda in 1974, recognizing her dissertation research as groundbreaking work in the emerging field of sociolinguistics. She died in Helena in 1978.
in 1985. The vital importance of women’s issues—which Belle defined broadly as the essential concerns of humanity—and her belief that women possessed a greater capacity for reason than did men, prompted her to advocate for more women in positions of public office and political leadership. “The world needs a lot of straightening out,” Belle said. Frieda and Belle were active in many local and regional reform efforts. Frieda worked for the Helena YMCA, and Belle supported efforts to ratify the Equal Rights Amendement. Belle worked alongside Frances Elge and Jeannette Rankin in the fight for women’s suffrage in Montana. Click the links for more information. Frieda and Belle’s mother sewed a quilt which was eventually donated to the Montana Historical Society and features in Using Quilts as a Window into Montana History. Brown, Bob. “Suffragists Fought to Win Montana Women’s Rights 100 Years Ago.” Independent Record, January 24, 2014, http://helenair.com/news/opinion/looking-back-at-a-pioneer-in-women-s-suffrage/article_a37ec2fc-88ba-11e3-b6a2-0019bb2963f4.html. Accessed September 22, 2014. Butler, Amy. 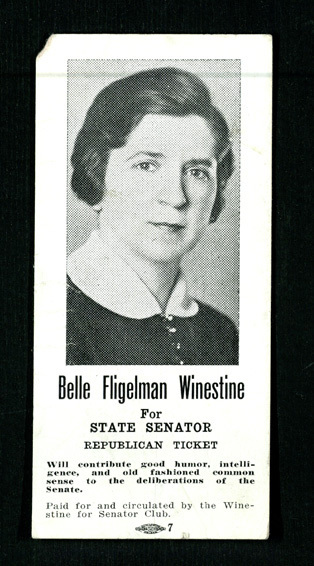 “Belle Winestine (1891-1985).” Jewish Women’s Archive. http://jwa/org/encyclopedia/artice/winestine-belle. Accessed September 22, 2014. Fligelman, Frieda. Fligelman interview by Kathryn Kress, 1976. Oral History 615, General Montana History Collection, Montana Historical Society Archives, Helena. ____________. Frieda Fligelman Papers, 1927-1984. Mss 184. Archives and Special Collections, Mansfield Library, University of Montana, Missoula. ____________. Notes for a Novel: The Selected Poems of Frieda Fligelman. Rick Newby and Alexandra Swaney, eds. Helena: Drumlummon Institute, 2008. Giles, Ken. “Behind the Doors of ‘Academe’ Is Freedom at Work.” Independent Record, January 16, 1977, 31. Olds, Virginia. “Jeannette Rankin Recalls Fight for Woman Suffrage in State.” Independent Record, August 9, 1964, 1, 3. “She is No Longer ‘Transparent.’” Billings Gazette, May 1, 1975, 18. Winestine, Belle Fligelman. “Mother Was Shocked.” Montana The Magazine of Western History 24, no. 3 (Summer 1974), 70-79. _____________. Winestine interview by George Cole, 1976. Oral History 87, General Montana History Collection, Montana Historical Society Archives, Helena. Winestine, Norman and Belle. Norman and Belle Fligelman Winestine Collection (1895-1986), Manuscript Collection 190, Montana Historical Society Archives, Helena. “Women Plan MSU Symposium.” Billings Gazette, March 29, 1973, 28. Wynn, Lee. “Frieda Fligelman: A Garland for Her Crown.” Independent Record, June 30, 1968, 30. _____________. “Looking In on the Arts.” Independent Record, April 21, 1968, 16. I knew about Belle Fligelman and her association with Jeannette Rankin, but I had no idea about her sister, Frieda. What an amazing find to discover these Montana women’s dedication to making the world a better place! Women’s History rocks! Yes, my Sister Melissa and my Father, Daniel L. Fligelman, has spoken to us numerous times about our relative Belle in Montana. There was reportedly a DEPARTMENT Store there, Helena. ?, called FLIGELMAN’S , maybe Norman Winestine, Belle’s Husband, had to do with that. Fligelman’s was founded by Belle and Frieda’s father in the late 1880s. Norman took over the business after he married Belle. The building still stands on Last Chance Gulch. My sister, Melanie and I were hired by Freida to “cleanup her two apartments” back in 1967. She paid us well: $5.00 per hour! I was taking high school French, and mentioned that to Freida. She spoke French to me and told me that she had lived for 5 years in Paris. One afternoon, I discovered a grand piano underneath a Turkish rug! Frieda had forgotten that! She proceeded to sit down and play beautiful piano pieces. (During high school, Melanie and I were taking piano lessons from an excellent instructor, Cecelia Grose). When I graduated from Helena Senior High in 1969, she sent me a card and generous check. She suggested that I purchase some piano selections. I shall always hold a special place in my heart for Freida!! An absolutely delightful story. She forgot she had a piano! Frieda’s mother and my grandmother were sisters. I met Frieda a couple of times when I was a kid. My mother always talked so fondly of her. Do you have any photos of her? Would love to hear some more stories. Where was she living in 1967? I’m putting together a family tree and would love some more photos. Thanks.